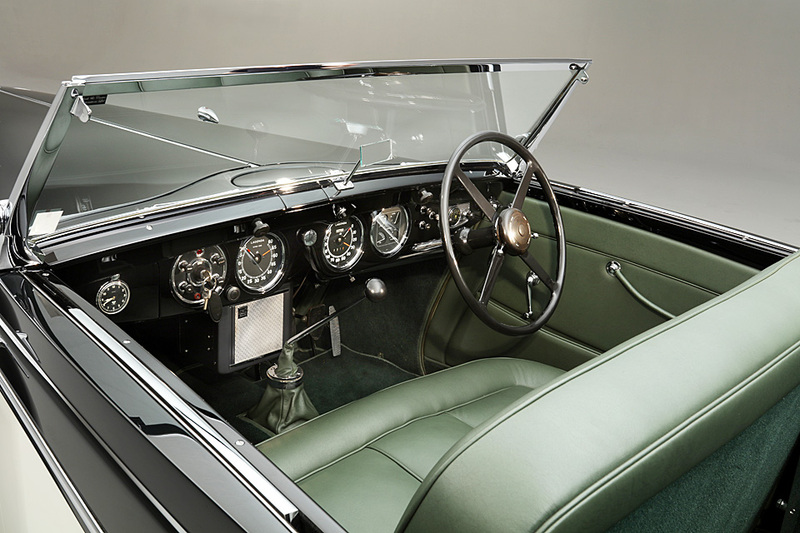 There is a romantic fairy tale aura to the Lagonda marque that you couldn’t make up. This quintessentially British company was actually founded by an American who named it after the Shawnee Indian name for the town he grew up in. Wilbur Gunn had a career as an opera singer and sewing machine manufacturer before turning his hand to motorcycles and cars. His business continued after his death but was struggling in the early Thirties. The same month that the company failed a Lagonda won the enormously important 24 Hour race at Le Mans, at that time success on the race track quickly translated into sales in the showrooms. A new and refinanced Lagonda company was formed in 1935 with no lesser figure than W.O. Bentley as Technical Director. He had just been released from his contract with Rolls-Royce where he had not been allowed to design anything but had looked on as they designed and built a V12 engine for their Phantom III. Accordingly it is no surprise that Bentley should want to produce a V12 of his own, better and more powerful than the efforts of the mighty Rolls-Royce. 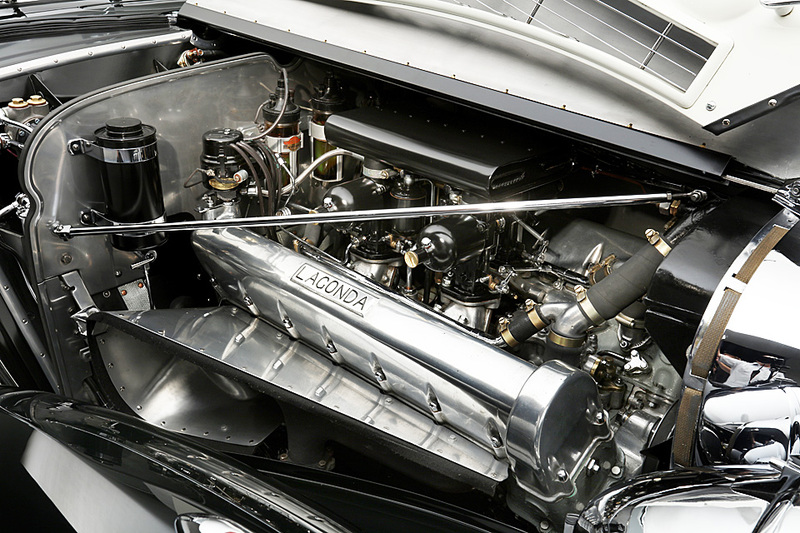 The Lagonda V12 was announced at the 1936 Motorshow and the first models appeared in 1937. 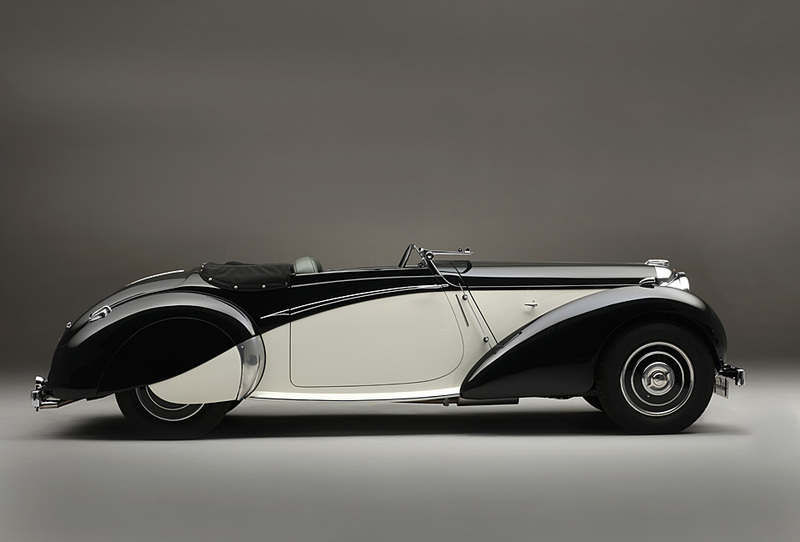 These were expensive luxury cars and yet there was always a demand for something even more special and that was the Lagonda V12 “Rapide” Only a dozen were produced, built onto a short sports chassis and fitted with convertible art deco coachwork designed by Frank Feeley. They caused a sensation. 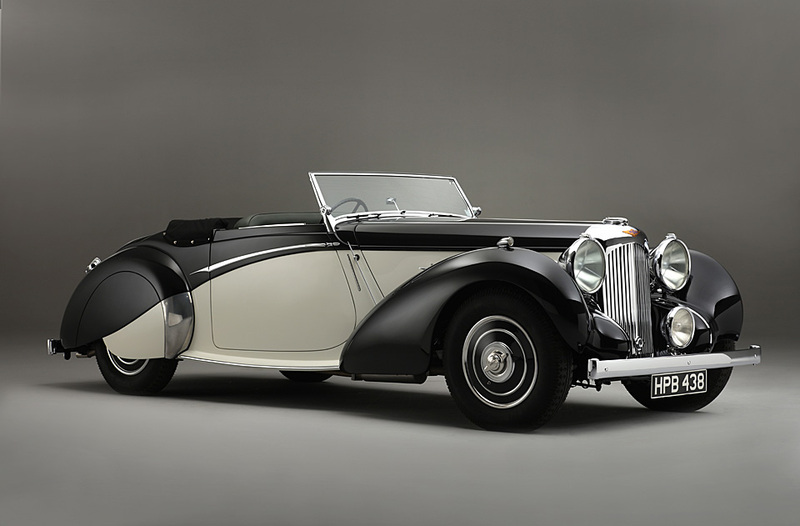 Lagonda delivered this V12 Rapide in October 1938 to Alfred J Mc Alpine, the son of a baronet and head of a hugely successful building business. He kept the car until 1955 and clearly enjoyed it and its performance. During one of its visits to the works for repairs after an accident in 1941 it was fitted with the four carburettor set as had been used by the V12 Team cars at Le Mans in 1939. 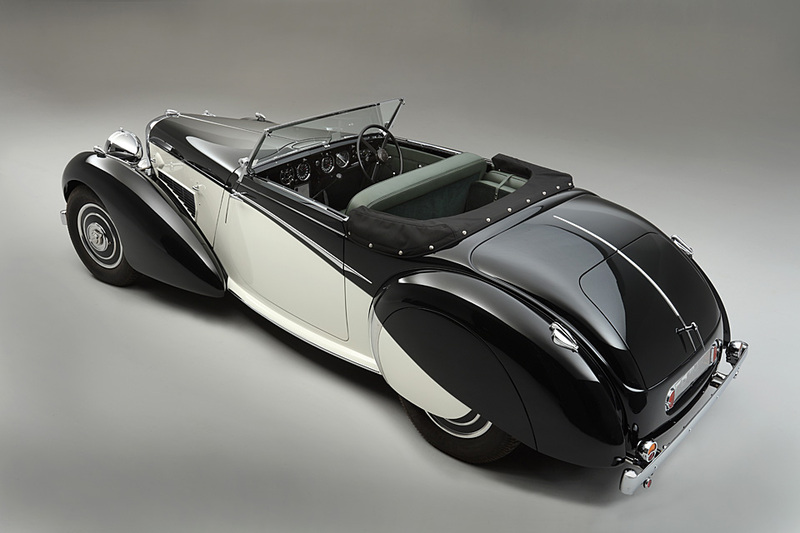 The complete history of the car is known and today the car is beautifully presented having benefitted from concours standard restoration by highly acclaimed specialists Clark and Carter.